Since around 2006, the term/buzzword ‘AJAX’ has been thrown around like a frisbee in a playground. 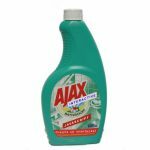 So what exactly is AJAX? If you’ve had an auto-suggest bubble pop up as you’re searching, or if you’ve seen form sub-sections magically appear as you choose options, then you have already used AJAX. Slow, static web pages have given way to speedy, animated interfaces with more nifty features.